In the Texas Panhandle you don’t have many choices if you want to live next to a lake, but at Lake Tanglewood you can do just that. 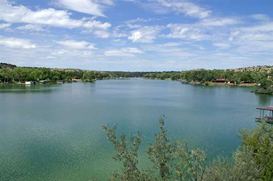 Lake Tanglewood is about 10 minutes south of Amarillo and features a beautiful lake, golf course, church and a overall great atmosphere. The homes for sale in Lake Tanglewood vary in price but the closer you are to the water the higher they go. Once you see the lake and everything Lake Tanglewood has to offer its hard to leave.